Medium - $33.99 Only 1 left! Large - $26.99 X-Large - $26.99 2X - $33.99 Only 3 left! If you've ever followed any Legend of Zelda based memes, you've definitely seen a few of us geeks filled with very slight nerd rage at those out of the know who seem to think that the Legend of "Zelda" means that Zelda is the main character of the game. People look at that heroic Hylian and delight in driving us nuts when they ask, "Isn't Zelda a girl?" Of course, she is! But Link is the main character! Blarg! But, the thing is, all that has been determined is that there will always be a Zelda to guard the Triforce of Wisdom and the Golden Realm and there will always be a Link to wield the Sword of Evil's Bane and bring peace to a world threatened by the eternal evil that, too, will always return. It doesn't say anything about Link actually being a dude. Perhaps the only way to truly end Ganon's power for good is to give a gal a swing. Don the mantle of the champion of Hyrule with this officially licensed Women's Legend of Zelda: Breath of the Wild Link Cosplay Tunic. 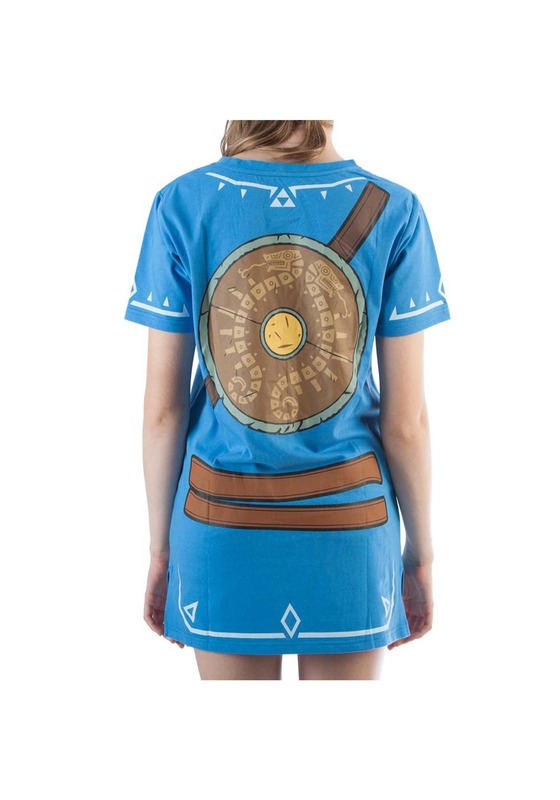 This comfortable polyester and cotton blend shirt is styled right after the Tunic of the Champion that Impa gives you in the massive open world Zelda title on the Nintendo Switch. The blue base is accented by the printed details of Link's belts and the harness for the Master Sword. 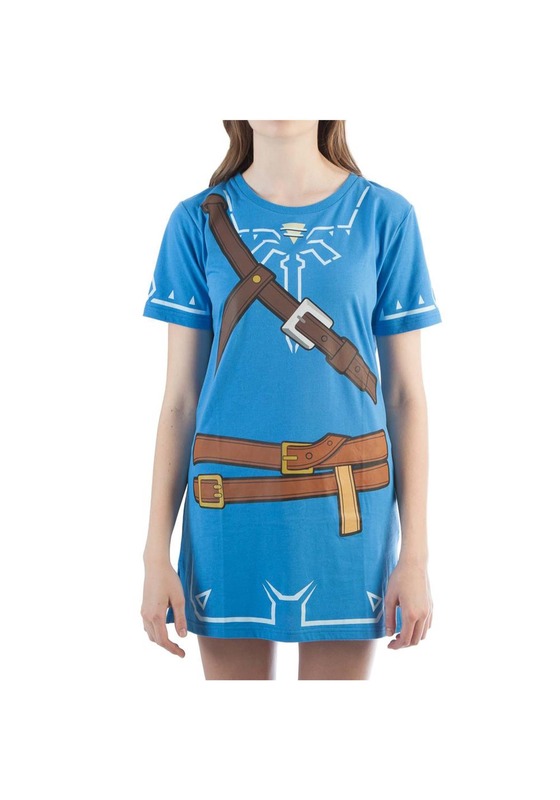 You'll prove the right to wield the Triforce of Courage and the legendary blade in no time with this tunic on your back! Link has done a heroic job of combating Ganon in his many wicked incarnations over the course of history. But, especially in that one timeline where he legit fails and unleashes doom on the world for a practical eternity, the guy just can't break the fated cycle. Time to see what might happen if Zelda were wearing that Tunic of the Champion, instead! Well, excuse us, Link!